Car Key Assist are able to provide Vauxhall car key cutting, replacement and reprogramming, for affordable prices across the Midlands. 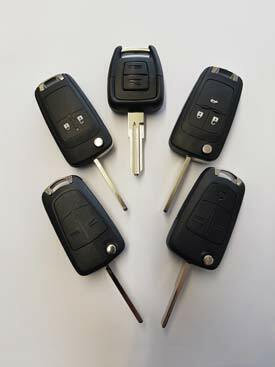 Lost Your Vauxhall Car Key and Need A Replacement or Spare? We are specialists in Vauxhall key remotes and can assist with the replacement or repair of keys for models including Adam, Ampera, Agila, Antera, Astra, Cascade, Combo, Corsa, Insignia, Meriva, Mokka, Monaro, Signum, Tigra, Vectra, Vivaro and Zafira. No matter the make or model of your car, we will provide an unmatched service that has led us to become the most reliable auto locksmith in the Midlands. Our customers can attest to our staff’s skill, car and commitment to providing a quality service, which is available 24 hours of the day, 7 days a week. We know that losing a car key can be stressful. Our Vauxhall car key replacement services include cutting keys to existing locks, lost car keys being erased from your car, supply and programming transponder keys and remotes on the roadside, supply duplicate keys to pattern and changing vauxhall lock combinations. All of our services are guaranteed to be fast and efficient, so you won’t be left waiting around - our aim is to get you back on the road as soon as possible..
We are able to offer vehicle locksmith services for Vauxhalls - and a number of other car makes - across the Midlands including Shropshire, Staffordshire, Herefordshire, Worcestershire and Warwickshire.